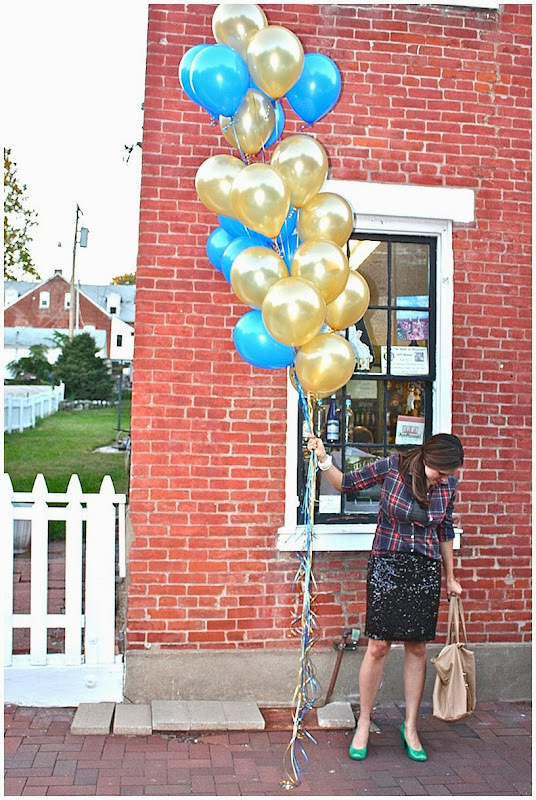 so this is what i look like holding 25 blue and gold balloons?! 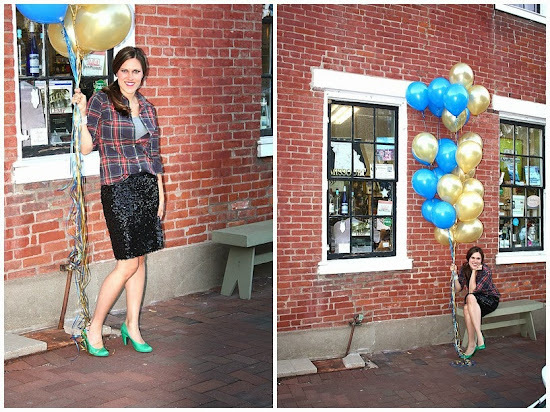 i'll fill you in on what the balloons were for in the next posts. i know you are dying to know. i just returned from a much needed vacation to my home-town st.louis, and i can't even tell you how wonderful it was. i haven't been back in 7+ years and it felt goooood. i walked around in this haze of nostaligia. everything i saw, heard, and even smelled, made me long to be back in missouri....well, except for the humidity. not good for my frizzy curl fro. i especially felt cool because the cardinals are going to the world series, baby. i am so stinkin' excited. having a good sports team is the icing on the cake. it's my one-upper in every conversation. so beware. the next few posts will be all about high school and st. louis and home-towns and stuff. I love the random balloons. I want that sparkly skirt too. Love seeing all your pictures. So cute, there's something magical about carrying a big bundle of balloons haha!